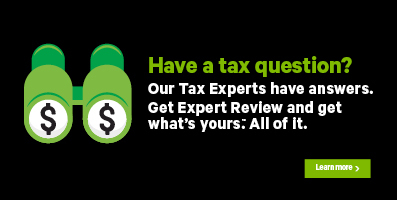 Note: H&R Block’s tax software doesn’t support non-resident tax returns. Please visit a retail office closest to you, and one of our Tax Experts will be happy to help you in person (fees will apply). If you aren’t a Canadian resident but you have income from Canadian sources, you’ll still need to pay tax on that income, to the Canada Revenue Agency (CRA), according to Part XIII regulations. How much tax will I have to pay on my Canadian-sourced income? Generally speaking, the Part XIII tax rate is set at 25%. However, this amount is set specifically based on the tax treaty between Canada and your home country. What types of income are subject to Part XIII tax? This list isn’t complete. For a full list, refer to the CRA website. It’s important to tell payers of your Canadian-sourced income that you’re a non-resident of Canada and to let them know your country of residence so they can deduct the correct amount of taxes. Otherwise, you’ll either owe the CRA at the end of the year, or they’ll accidentally deduct too much from your income. Can I get a refund for the Part XIII tax that I paid? If you have income from these Canadian sources and choose to file a return with your Part XIII tax deducted, you might be able to claim a refund for some or all of it. However, you can’t prepare your return with H&R Block’s tax software. Note: Once the Part XIII tax is deducted by Canadian payers (provided it’s correct) you won’t have any further tax obligations to Canada for this income. If you did, you might also have to pay Part I tax and file a Canadian tax return.